Here you can learn about some of the compelling speakers who appeared at SAP Ariba Live. Click on their images for background information. Sue Allchurch works with the business community to help make progress towards meeting the United Nations Sustainable Development goals through bold innovation and more responsible business practices encompassing labor, human rights, environment, and anti-corruption. Sue spent most of her career running consumer brands, recently Lipton tea, Surf and Skip detergents, and Laundry Innovation globally. In all roles, Sue led sustainable development and social purpose as a core part of the brand development with a key focus on product, supply chain, and idea development. 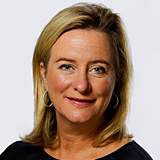 In 2014, Sue made a move to work in the public sector to run marketing for Save the Children UK. In this role, Sue delivered several successful campaigns and contributed to a doubling of impact and income. Sue was born in Pakistan and raised in Hong Kong. As a teenager, she worked for UNHCR in Vietnamese refugee camps caring for children and preparing transit to the U.S. Sue says it feels like deja-vu to be at the UN again after 35 years and, most sadly, to be seeing history repeat itself: Vast numbers of refugees crossing the waters to escape conflict. 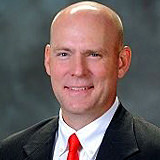 Shane Curley is vice president, strategic procurement for Nutrien, the largest global fertilizer and crop input company. 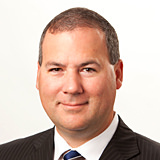 A senior professional with more than 20 years of experience in supply chain management, he has led the supply chain function as a member of senior level management for both start-ups and Fortune 100 global organizations, including Honeywell, General Electric, Petro-Canada, Suncor Energy, AMEC-Foster Wheeler, and Agrium. Shane’s experience includes the creation, development, and stewardship of supply chain, manufacturing, production, operational support, centers of excellence, asset management, and capital project organizations. He has been instrumental in four significant mergers and 20 acquisitions/divestitures, and he has led several large supply chain transformations including multiple, large-scale ERP and e-procurement implementations. 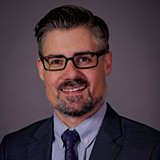 Shane received his bachelor’s degree in business administration with a major in finance, as well as his bachelor’s of science degree, from University of Prince Edward Island. Justin is an award-winning entrepreneur, author, and artist. He founded the enterprise software company FRDM, with a mission of changing the world through the power of our purchases. FRDM is a business platform used by Fortune 500 companies to measure and mitigate risk of forced labor in supply chains. Founder and CEO of Made In A Free World, a non-profit organization dedicated to ending forced labor, human trafficking, and modern-day slavery through increased public awareness, action, and advocacy. He is the author of A Selfish Plan to Change the World (2017) which reveals the secret to a life of deep and lasting significance: the discovery that our need for meaning is inextricably linked to the needs of the world. A Selfish Plan to Change the World delivers a revolutionary method for meeting both needs. Made his directorial debut in the film Call + Response, which revealed the world’s 27 million dirtiest secrets: there are more slaves today than ever before in human history. The “rockumentary” was theatrically released around the world and became one of the top documentaries of 2008. He then produced and appeared in the CNN documentary Common Dreams, with Grammy and Academy award winner Common. He then founded the nonprofit organization Slavery Footprint. Partnering with the U.S. State Department and Google, they launched a multiple-award-winning website that asks the question, “How Many Slaves Work For You?” The website and mobile app allow consumers to visualize how their consumption habits are connected to modern-day slavery and has reached over 100 million consumers worldwide. Dillon has worked in technology and human rights for ten years, advising the United Nations, White House, and several Fortune 100 companies on supply chain transparency and the purpose economy. 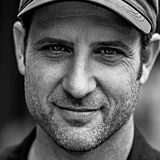 His work has been featured in Fast Company, CNN, MSNBC, Katie Couric, Dr. Phil, Wired, Vogue, Marie Claire, New York Times, Washington Post, Wall Street Journal, Huffington Post, Tech Crunch, and several others. He has spoken at the White House, United Nations, Vatican, Stanford, Google, Harvard, Princeton, Columbia, Chicago Ideas Week, Clinton Global Initiative, Global Philanthropy Forum, and several others. He was awarded an honorary doctorate degree from his alma mater for his work on innovation and justice. Mari-lou Dupont is a senior manager at the United Nations Global Compact, the world’s largest voluntary corporate sustainability initiative. She is leading the Action Platform on Decent Work in Global Supply Chains, a group of multinational enterprises and partners committed to take actions and develop tools to improve working conditions and human rights in their supply chains. 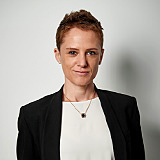 Mari-lou joined the UN Global Compact in 2018 after five years as a legal expert at the OECD supporting the responsible business conduct workstream. She has also advised French business associations on the applicability of the French Duty of Vigilance Law. A lawyer by training, she worked five years alongside Canadian indigenous communities advocating for rights and sustainable development. Mari-lou holds a law degree from the University of Montreal/York University as well as a degree in anthropology from the University of Montreal/Lund University. 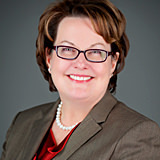 She is a member of the Quebec Bar and has successfully completed her equivalence to practice law in France. 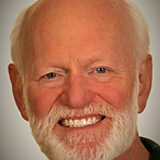 Dr. Marshall Goldsmith is a professor of management practice at the Dartmouth Tuck School of Business and the author or editor of 35 books. Translated into 30 languages, his books have become bestsellers in 12 countries, selling more than two million copies. His two New York Times bestsellers are What Got You Here Won’t Get You There – winner of the Harold Longman Award for Business Book of the Year – and the follow-up, Mojo: How to Get It, How to Keep It, and How to Get It Back if You Lose It. In February 2016, Amazon included What Got You Here Won’t Get You There and Triggers in its 100 Best Leadership & Success Books list. Marshall was one of only two authors to have two works listed. Other books include the WSJ bestseller, Succession: Are You Ready? and the BusinessWeek bestseller, The Leader of the Future. Three of his books have won the American Library Association Choice Award for best academic business book of the year. Marshall served on the board of the Peter Drucker Foundation for ten years and has worked with over 150 major CEOs and their management teams. He has also been a volunteer teacher for generals in the U.S. Army, admirals in the U.S. Navy, and executives and leaders of the Girl Scouts, the International Red Cross, and the American Red Cross, where he was named National Volunteer of the Year. He earned his Ph.D. from UCLA’s Anderson School of Management, where he was named Distinguished Alumnus of the Year. Over three hundred of his articles, interviews, columns, and videos are available online for viewing and sharing. Visitors to his site have come from 197 countries and have viewed, read, listened to, downloaded, or shared resources over 25 million times. 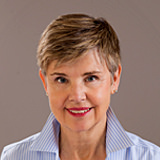 Sally Helgesen is a best-selling author, speaker, and leadership coach, cited in Forbes magazine as the world’s premier expert on women’s leadership. For the last thirty years, her mission has been to help women leaders around the world recognize, articulate, and act on their greatest strengths. She also works with senior teams seeking to build more inclusive cultures. Sally’s most recent book, How Women Rise, co-authored with coaching legend Marshall Goldsmith, became the top-selling title in its field within a week of publication. It explores the twelve most common habits that undermine women in their quest to become more successful and create careers that are satisfying and rewarding. And it offers powerful practices to help women realize their full potential. Sally’s previous books include The Female Advantage: Women’s Ways of Leadership, hailed as a classic and continuously in print since 1990; and The Female Vision: Women’s Real Power at Work, which explores how women’s strategic insights can strengthen their careers and their organizations. The Web of Inclusion: A New Architecture for Building Great Organizations (1995) was cited in The Wall Street Journal as one of the best books on leadership of all time and credited with bringing the language of inclusion into business. 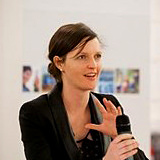 In addition to delivering workshops and keynotes in corporations, partnership firms, universities, and associations around the world, Sally has consulted with the UN on building more inclusive country offices in Africa and Asia and led seminars at the Harvard Graduate School of Education and Smith College. She is a contributing editor for Strategy+Business magazine, and a member of the MG Top 100 Coaches Network and the New York and International Women’s Forums. She lives in Chatham, NY. Kathy Hinton is the founder and president of Agilitology LLC, a firm dedicated to making leaders and their organizations more agile to accelerate performance. 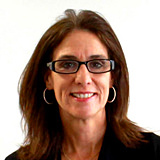 For over 25 years, Kathy led procurement and supply chain management (SCM) operations at Alcatel ITS, Nextel Communications, Fannie Mae, Computer Sciences Corporation, and Andeavor (formerly Tesoro). Kathy is an award-winning SCM expert, a master negotiator, a certified executive coach, and a Certified Lean Six Sigma Green Belt. Throughout her career, Kathy has been recognized for supply chain excellence. She received the President’s Award twice, first at Sprint Nextel in 2006 for outstanding contribution to the company, and then at Tesoro in 2016 for extraordinary performance. In 2012, Kathy was ranked #13 of more than 5,000 chief procurement officers and purchasing executives in the United States. Kathy is passionate about championing up-and-coming talent and inclusion in SCM. She served on the Arizona State University Supply Chain Executive Consortium from 2014 to 2017, mentoring supply chain students and collaborating with faculty about curriculum. She is a frequent speaker at industry events, most recently at the Procurement Leaders Forum where she spoke about supporting women in procurement. Kathy is an active member of the board for the Global Council for the Advancement of Women in Procurement, working to make the organization the leading voice of women in SCM. Kathy earned a bachelor’s degree with honors in French and linguistics from Pennsylvania State University. In addition to being fluent but rusty in French, she has a knack for picking up languages and enthusiastically connects with different cultures. In 2005, Kathy completed the renowned Strategic Negotiations executive education program at Harvard Business School. Kathy is a volunteer and fundraiser for the Honor Flight Network, a nonprofit that provides free guided travel from all over the U.S. for WWII, Korean, and Vietnam War veterans so they can see their memorials in Washington, D.C., often for the first time. Thulium CEO Tamara McCleary is an international branding expert, a technology futurist, and a social media marketing and digital strategy consultant. She is ranked in the top one-percent of global social media influencers by Klear, the influencer marketing software platform, and listed as one of the top 50 social influencers of 2015 – 2018 by Onalytica. When it comes leading influencers in the areas of emerging technologies, Tamara ranks in the top five for AI, robotics, and IoT; in the top 15 for machine to machine (M2M); in the top 50 for blockchain, big data, and digital transformation. She was named number-one most influential woman in marketing technology by B2B Marketing magazine and ranked by LeadTail as the second-most person mentioned by chief marketing officers on Twitter. 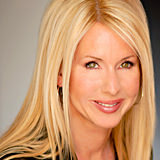 Tamara is also an IBM Futurist and creator of the trademarked RelationShift® method. 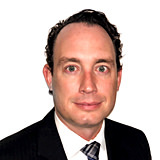 Daniel Perry is the global alliances director at EcoVadis, which operates the first collaborative supply chain sustainability rating platform, allowing companies to assess the CSR performance of their trading partners. Daniel has 15 years of experience in procurement and business development of innovative solutions for procurement organizations. Daniel originally hails from New Zealand, and now resides in the San Francisco Bay Area. Since his arrival in 2012, Daniel has presented on the topics of procurement and supply chain innovations at numerous conferences and events across the United States. Norbert Riezler is senior vice president and chief procurement and sustainability officer at Las Vegas Sands Corp. In this role, he is responsible for overseeing the procurement and supply chain organization globally, leading the corporation’s sustainability efforts called Sands ECO360, and leading the company’s global synergies to enhance guest satisfaction and operating efficiencies. Norbert plays a significant role in each one of the company’s developments from construction to operation. Las Vegas Sands is a Fortune 500 company and the leading global developer of destination properties that feature premium accommodations; world-class gaming and entertainment; convention and exhibition facilities; celebrity chef restaurants, and many other amenities. Norbert joined Las Vegas Sands Corp. in 2007 as vice president of North American Procurement and immediately supported the successful openings of The Palazzo Resort Casino Hotel in Las Vegas and Sands Bethlehem Casino in Pennsylvania. He also implemented company-wide procedures that led to significant reduction in operating costs. In 2009, he was promoted to head of global procurement and supply chain. 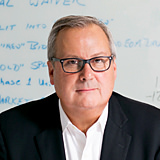 Prior to joining Las Vegas Sands Corp., Norbert was with Ford Motor Company for ten years and spent four years in China as director of Ford’s sourcing office where he established the fast-growing China purchasing organization and co-led the company’s Asia Pacific and Africa purchasing regionalization. Prior to Ford Motor Company, he worked in various hotel and cruise ship management positions. Mr. Riezler is a native of Austria and speaks multiple languages. He is a graduate of the University of Wisconsin-Stout with a BA in hospitality and tourism, and received his MBA from the University of Cincinnati. Jason is senior manager who partners with executive leadership to deliver and sustain the systems that support the global procurement function at Nutrien. Most recently, Jason was accountable for leading his team to help successfully deliver an SAP Ariba source-to-pay implementation, and currently supports its technical sustainment. Throughout his 15 years in information technology, Jason has held multiple roles in technical development, relationship management, and solution delivery. This has included experience in the telecom, oil and gas, and agriculture industries. Sondra Scott is president of Verisk Maplecroft, a leading provider of country and political risk analytics and advisory services. She is responsible for leading the company’s globalization and growth effort. 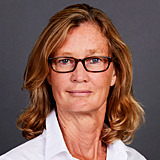 Before joining Verisk Maplecroft in 2015, Ms. Scott filled a number of roles at Wood Mackenzie over a 13-year period. Her most recent position was head of the Industry and Macro Trends service, which focuses on global industry trends and scenarios, macroeconomics, and country and geopolitical risk. Previously, Ms. Scott led Wood Mackenzie’s energy consultancy practice. Ms. Scott has more than 25 years of experience working in the content and analytics sector in the energy and risk discipline. She has led multi-sized global research and consultancy teams and is an experienced strategist with a passion for innovative product development. She has worked in the United States, the United Kingdom, and Latin America globalizing businesses and developing local practices. She received a master of science degree from the University of Pennsylvania, a Diplôme d’Ingénieur from the Institut Français du Pétrole, and a bachelor of arts degree from Wesleyan University. Tania’s commitment to the profession started sixteen years ago in the United States. After finishing her MBA at Pennsylvania State University, she became one of Alcoa’s first global commodity managers. Prior to moving to the USA, Tania’s career was focused on marketing roles within Alcoa and Rowland in Australia, and the Walt Disney Company in the UK. With a passion for “all things supply management,” Tania is helping to change the way all of us learn, advance, and exert influence. Under her leadership, Procurious broke ground with the first digital think tank event for the global supply management community, the Big Ideas Summit. At The Faculty, she also created the Corporate Board for Social Procurement, a new type of foundation to encourage Australian businesses to focus their spending on social enterprises. Tania’s heartfelt goal is to continue to inspire and empower new generations to grow and thrive in our dynamic profession. 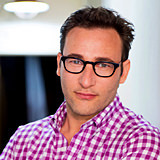 Described as a visionary thinker with a rare intellect, Simon Sinek teaches leaders and organizations how to inspire people. With a bold goal to help build a world in which the vast majority of people go home every day feeling fulfilled by their work, Sinek is leading a movement to inspire people to do the things that inspire them. A trained ethnographer, Sinek is fascinated by the people and organizations that make the greatest, lasting impact in their organizations and in the world. He is the author of multiple bestselling books, including the global bestseller, Start With Why: How Great Leaders Inspire Everyone to Take Action; New York Times and Wall Street Journal bestsellers Leaders Eat Last: Why Some Teams Pull Together and Others Don’t; and Together is Better: A Little Book of Inspiration. He is also the author of Find Your Why: A Practical Guide to Discovering Purpose for You and Your Team. Simon may be best known for popularizing the concept of Why in his first Ted Talk in 2009. It rose to become the third-most watched talk of all time on TED.com, with over 35 million views and subtitled in 45 languages. His interview on millennials in the workplace garnered over 80 million views in a week and is now up to more than 200 million views, inspiring conversations on the subject around the world. He is an adjunct staff member of the RAND Corporation, one of the most highly regarded think tanks in the world, and is active in the arts and in the non-for-profit world. 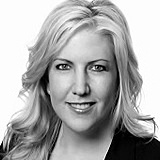 Andrea is a managing director at Accenture and leads the Canadian strategy consulting practice for resources clients. In her role, she works with clients across the oil and gas, utilities, mining, chemicals, and natural resources industries, helping them solve some of their toughest challenges, driving innovation and delivering transformational outcomes. Andrea joined Accenture in the UK in 2006, primarily working in aerospace and defense before transferring to Canada in 2009 and then becoming Canada’s supply chain and operations business lead. Prior to joining Accenture, Andrea spent more than 10 years in the heavy equipment industry in Canada and the UK, specifically focused on supply chain management, including inventory planning, warehousing management, and distribution. With over 25 years of industry and consulting experience, Andrea has helped companies develop and implement new supply chain and procurement capabilities and approaches to improve business performance and operational efficiency. Andrea holds an MBA, specializing in supply chain management, from the University of British Columbia (Vancouver, Canada) and ESADE Business School (Barcelona, Spain). John Vazquez joined Verizon in 2012. He is senior vice president and chief supply chain officer and head of global supply chain (GSC) and global real estate (GRE). In his leadership of GSC, John oversees 30,000 contracts and is responsible for annual sourcing-managed spend of $50 billion. John manages 3,000 real estate and supply chain professionals and oversees an annual budget of $3.5 billion. Under John’s guidance, GRE has developed a multi-year transformational, strategic plan focused on improving the utilization of real estate assets, enabling a new collaborative workplace experience, and proactively improving the real estate portfolio and supplier quality and procurement. John recently acquired leadership responsibility for GSC and is developing strategic plans to support innovation, optimize processes, drive value, and advance the business. John is guiding both organizations toward advancing their goals through a service-focused approach. John’s knowledge and experience as a key innovator has led to numerous interviews with news outlets, including The New York Times and The Wall Street Journal. He was awarded CoreNet’s Corporate Real Estate Executive of the Year in 2016. Throughout 2017, he presented at global summits in Asia, Europe, and North America. Previously, John served as vice president of vendor sourcing and corporate services concurrently serving as head of real estate as well as chief procurement officer at MetLife. He has also held positions at JP Morgan Chase and IBM. John received his bachelor’s degree in mechanical engineering from Manhattan College and MBA from Sacred Heart University. John serves on the board of visitors for Sacred Heart University and has served on the boards of various educational and professional organizations. In his spare time, John is involved in several public and community services. As president of SAP Ariba, Barry Padgett is responsible for driving the strategy, operations, product and innovation, and go-to-market functions of the world’s largest business commerce network. Prior to joining the SAP Ariba team, Barry served as president of the SMB Group at SAP where he drove SAP’s growth amongst small and mid-market businesses and oversaw the strategy and execution for SAP Anywhere, Business ByDesign, and BusinessOne. 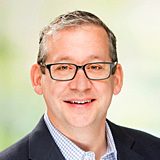 Barry came to SAP through the acquisition of Concur, where he served in several executive roles, including chief product officer; executive vice president and general manager of EMEA and Asia Pacific; vice president of international sales, and general manager of the TripIt Business Unit. Barry earned a bachelor of science in applied mathematics from Union College and a master of science in software engineering from the University of Oxford. Vish Baliga is the chief technology officer for SAP Fieldglass and has been with the company almost since its inception. He plays an integral role in the company’s award-winning solutions, establishing product strategy and managing the application's design, development, testing, and delivery. He oversees several departments including technology operations, product management, information technology, quality assurance, and security. Vish brings over 30 years of IT experience and nine years of consulting experience to the organization. Prior to joining SAP Fieldglass, he worked for such leading companies as Ernst & Young, IBM, and Syntel. He holds a master's degree in engineering from the Indian Institute of Technology (IIT), Kanpur, and a bachelor's degree in engineering from the University of Mysore, India. Japen Hollist is a director in the SAP Ariba Digital Transformation Organization where he helps SAP clients to improve their procurement functions. 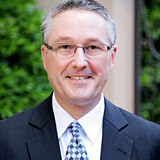 He previously served as vice president for strategic sourcing and procurement at Aflac. He is a graduate of the Harvard University Extension School with a master’s degree in sustainability. 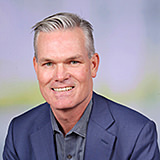 As general manager of SAP Ariba, Pat McCarthy is responsible for the go-to-market strategy, sales performance, and operations of the SAP Ariba field organization globally. On a deeper level, he leads SAP Ariba’s effort to understand customers’ goals and to marshal the power of digital transformation to help meet or exceed them. Prior to joining the technology world, Pat practically grew up in supply chain and procurement. He spent 11 years at PepsiCo and its subsidiary Frito-Lay, Inc., where he led teams in warehouse and fleet management, distribution operations, manufacturing and supply chain planning and optimization. A native Chicagoan, Pat graduated from Elmhurst College; sits on the board of Chicago Tech Academy, a charter non-profit for Chicago high school students, and supports global charitable endeavors through Kiva. 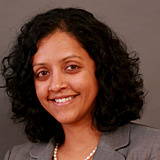 Padmini Ranganathan is vice president of products and innovation for supplier risk, compliance, and sustainability solutions for SAP Ariba. In this role, she is responsible for product strategy and engineering and leads a team of experts focused on delivering solutions that enable risk-aware, sustainable, and ethical supply chains. Prior to SAP Ariba, Padmini led the analytics for industries solutions marketing team at SAP which brought to market the first analytical applications and content for “art of the possible” industry and line-of-business application scenarios. Before joining SAP, Padmini worked at Oracle, where she was part of the procurement product management team that delivered the first web-based, self-service applications for procurement. She also was a technical consultant in the areas of order management, inventory, distribution, procurement, and manufacturing. Padmini is a passionate advocate for bringing technology to business users that simplifies and enriches their daily work and decision-making. And as the products and innovation lead for SAP Ariba’s procurement-with-purpose initiatives, she is dedicated to helping businesses balance their costs with conscience and make an impact on the larger world. Padmini has a post-graduate diploma in computer science from UC Berkeley, California, and a bachelor’s degree in commerce with a major in cost and management accounting from Bangalore University, India. 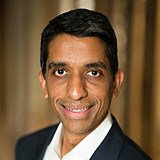 Arun is the senior vice president of strategy and customer operations at SAP Fieldglass and has been with the team for eight years. In his role, Arun is responsible for ensuring customer success. The departments he oversees include strategic consulting, implementation, account services, support, shared services, and marketing. 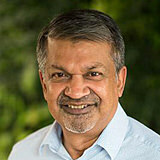 Arun has more than 20 years of experience helping global corporations design and deploy enterprise software solutions. Prior to joining SAP Fieldglass, Arun held positions in general management, development, marketing, and product management while working at ClickCommerce, Elance, and Oracle. He holds a master's degree in engineering from the Indian Institute of Science and a bachelor's degree in physics from the University of Madras, India. 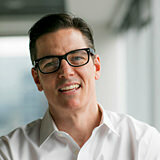 Sean Thompson is senior vice president of business network and ecosystem at SAP Ariba. In this role, Sean leads the company’s strategy for business network and payments, including Ariba Network; oversees the growth of SAP Ariba’s ecosystem; and leads the company’s partner and business development teams. 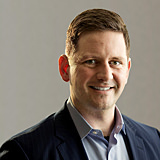 Prior to joining SAP Ariba, Sean served as the chief revenue officer of SAP’s SMB cloud ERP business. Judith has been at the forefront of the culture change movement in technology and entertainment, with a deep focus on analytics and strategies to identify and disrupt bias in social systems and corporate culture. She joined SAP in September 2018 as head of people sustainability and chief diversity and inclusion officer, leading both diversity and inclusion and business health programs at SAP. Previously, she ran an organization which consults with start-ups, venture capitalists, and accelerators on embedding diversity and inclusion into the foundations of their organizational cultures. Judith has also been instrumental in the development of the ReFrame Project, a partnership between the Sundance Institute and Women and Film. The project addresses systemic barriers in the Hollywood ecosystem, and encourages gender parity at every level in film, TV, and media. Prior to that, as global head of diversity for Dropbox, Judith was responsible for all diversity and inclusion programs, as well as corporate social responsibility. Her efforts increased the pipeline of women and underrepresented minorities at Dropbox, creating a more inclusive corporate culture and forming deeper ties into the communities where the company operates.